When I encourage clients to eat plenty of green lettuce, the most common objection that comes up is lack of time. Washing and drying a head of lettuce can be a little awkward, especially if you don't do it regularly. Most are happy to learn that there's a relatively easy way to do it and transform even wilting leaves into fresh, crisp lettuce that you can use throughout the day. Start by chopping off the root end of a head of lettuce, then separate the leaves and let them soak in lukewarm water. We like to do this right in our kitchen sink. Lukewarm water encourages the vessels that run through lettuce to open up a bit, just like rising body temperature promotes dilation of blood vessels in certain parts of the body. According to Chef Michael Smith of the Food Network, this dilating effect allows lettuce to plump itself up with water, which allows for the makeover effect that we're looking for. Plus, having individual leaves soak in water is an easy way to remove debris. After about ten to fifteen minutes, give the lettuce an aggressive swirl to knock off any last bits of soil and other debris, then drain the water and replace it with cold water and allow it to sit for another ten minutes or so. The cold water serves to constrict the vessels in the lettuce, especially those that open up at the edges of each leaf, which helps the lettuce retain water volume and the fresh, crisp feel that we're after. Then, drain the water and give the leaves a good shake before letting them air-dry in a colander that sits in a bowl. And there you have it. 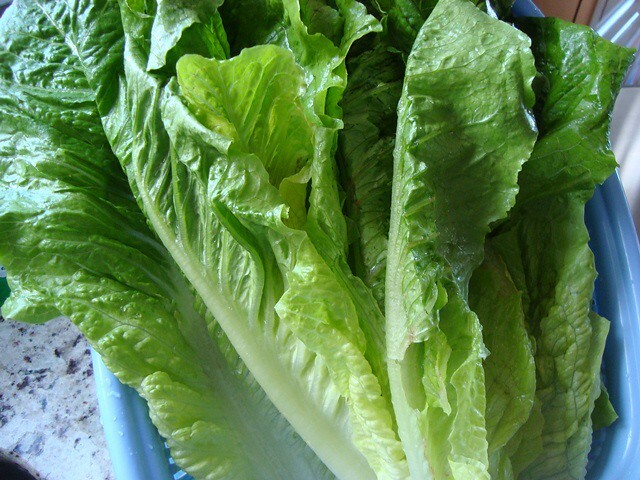 A whole head of freshly washed lettuce that you can use to make salads for every meal. There are few healthier snacks to munch on throughout the day that will leave your teeth feeling strong and immune to sensitivities to hot, cold, and sweet foods and beverages. this is awesome...what is the best way to store the lettuce after you have washed it and allowed it to dry? I love your suggestions on lettuce and would like to add one procedure that I do. 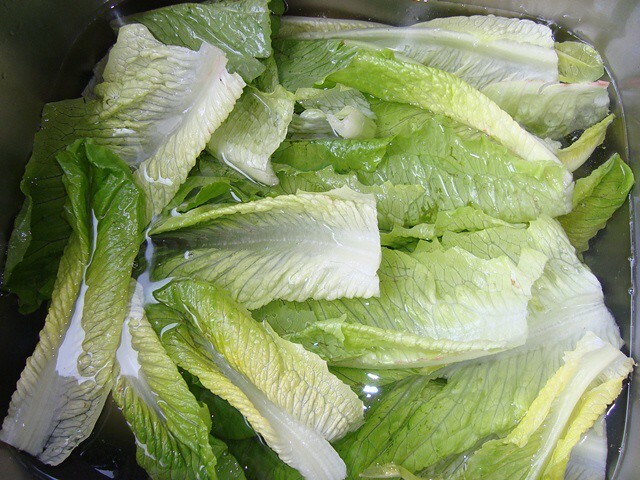 In cold soaking water I add a capful of peroxide to help kill any bacteria on lettuce..what do you think of doing this.. I have also heard that a bit of peroxide added to the water will kill bacteria on greens. I would like to hear your thoughts on this as well Dr. Ben. I'm always worried about recalls on greens, which seems often here in the States.